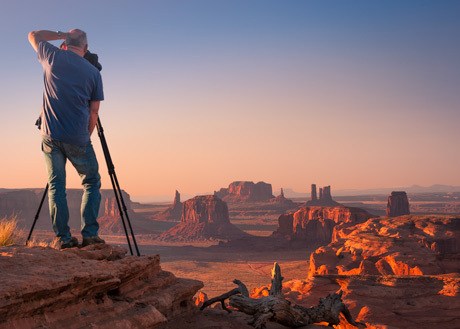 This is an add-on workshop for participants to the Lake Powell Photography Workshop 2019. 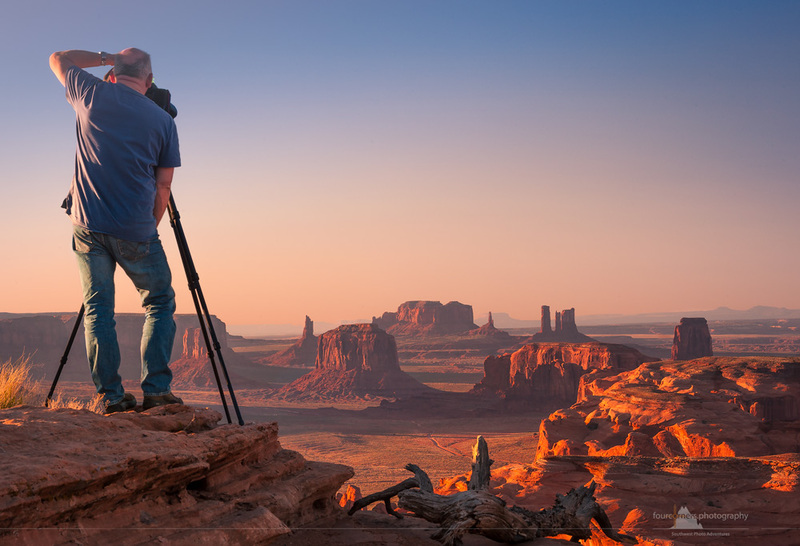 Non participants to the Lake Powell Photography Workshop 2019 are also welcome to join me at the Hunt’s Mesa Photography Workshop. 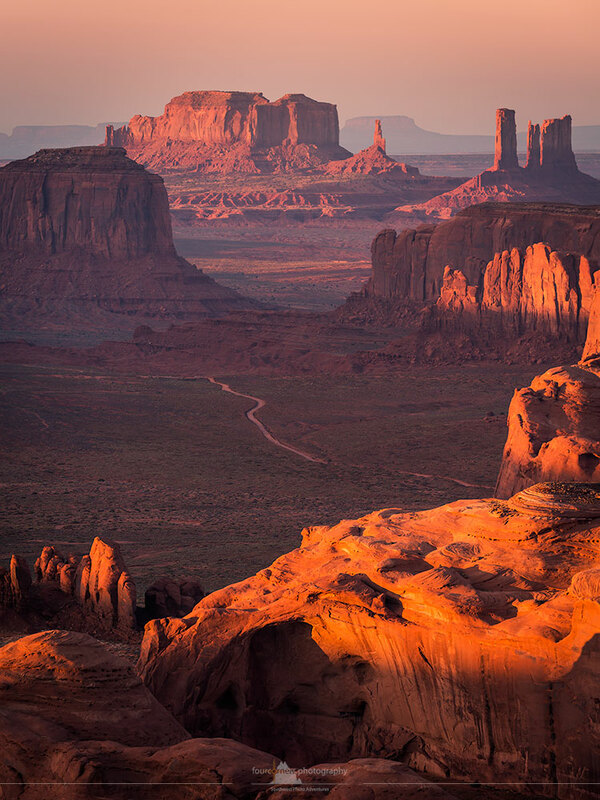 By joining this adventure you will be able to photograph Monument Valley from the bird’s-eye view. 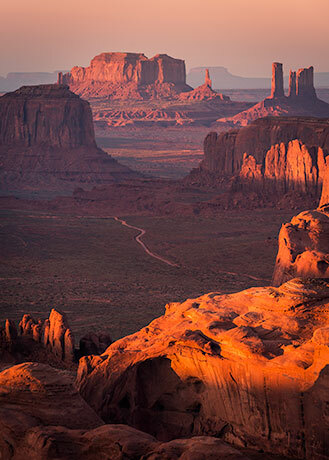 This secluded place is tucked away in the remoteness of Monument Valley. The access is restricted. It requires a Navajo guide to get there. The “road” is difficult and challenging and will be done in the guide’s car. The beauty of the place attracts people from all over the world by its amazing geologic formations and photographic opportunities. We will start the tour in Page, once the Lake Powell Photographic Workshop is finished. All participants will have the opportunity to buy some new beverages and food in Page before we head to Kayenta, AZ. Each participant will do the 1 ½ hour drive from Page to Kayenta in their own car. If you are a non participant to the Lake Powell Photography Workshop 2019 I will meet you in Kayenta. We will proceed from Kayenta to meet with our Navajo guide, Ray Begay, at the Monument Valley Visitor Center to leave than our cars at his place overnight. Ray will take us up to Hunt’s Mesa in his car. Take a deep breath before we hit the off-road trails. This will be one of the most adventurous 4-wheeling you ever will have done. Ray is a true expert out there. I headed out with him several times. You will need camping gear (tent, mattress, sleeping bag, headlamp) as we will stay one night up at Hunt’s Mesa for a late afternoon and an early morning shooting. After breakfast we will return to Kayenta. Our guide will take us to some hidden photographic gems on our way back to Kayenta. We should be back to our cars around noon. I am sure that you will return home with unforgettable memories and stunning images on your memory cards from this short side workshop. – I can provide you with some camping gear if requested, including a tent. Fifty percent is to be paid in advance (non-refundable, unless in the extremely unlikely happening of the tour being cancelled). The remaining 50% is due 30 days before the trip. I cannot provide alumni or group discount! Payments may be made with Visa, MasterCard or American Express. Upon payment of your deposit, I will send you an information package including suggestions for camera equipment, clothing and travel gear. No refunds will be given for unused portions of this workshop. I highly recommend an independent travel insurance. Knowing you have 100% trip cancellation coverage can make a big difference should you have to cancel for some unforeseen reason. Hurry to secure your place … and join me in this unique photographic adventure. Questions about the Hunt’s Mesa Photography Workshop? Contact me.